Happy Samhain! On this day I honor my ancestors. I think of all of those who came before me and brightly lit the path I know travel. Thank you for your hard work, thank you for your sacrifice, thank you for your eternal love, and thank you for always believing in me. Without you I am nothing! Tonight I will sit in the quiet stillness and listen for your guidance and wisdom. I welcome you Lord and Lady to my table and together we will await the turning of the wheel once again. 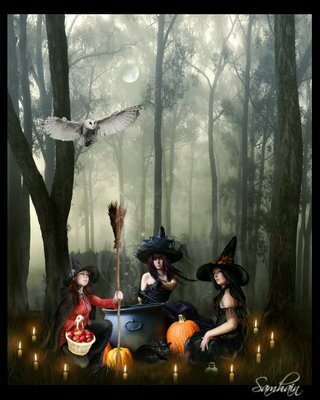 May you have a Blessed Samhain! If you would like to know more about Samhain, please click here.